Central and North America, from the tropical Caribbean to the Arctic waters of Greenland, 23 countries, covering 24.7 million square kilometres and a population of over 529 million people. 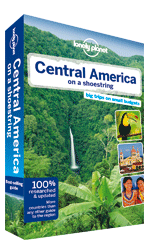 Central America connects South America with North America and combines both cultures with bustling cities, ancient ruins, jungles, white sandy tropical islands and Spanish-tinged Afro-Indian cultures. The USA is one of the largest, most ethnically diverse nations on Earth and is packed with world famous cities and fantastic natural parks. Canada has huge areas of unspoiled wilderness, and some of the world's most modern, cosmopolitan cities. Travellers... go. 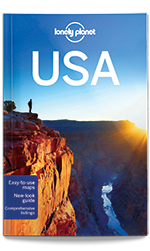 Lonely Planet will get you to the heart of USA, with amazing travel experiences and the best planning advice. The great American experience is about so many things: bluegrass and beaches, snow-covered peaks and redwood forests, restaurant-loving cities and big open skies.Color maps and images throughout Highlights and itineraries help you tailor your trip to your personal needs and interests Insider tips to save time and money and get around like a local, avoiding crowds and trouble spots Essential info at your fingertips - hours of operation, phone numbers, websites, transit tips, prices Honest reviews for all budgets - eating, sleeping, sight-seeing, going out, shopping, hidden gems that most guidebooks miss Cultural insights give you a richer, more rewarding travel experience - including history, art, literature, cinema, music, architecture, politics, landscapes, national parks, wildlife, cuisine and wine Over 96 maps. By Regis St. Louis , Becky Ohlsen , Adam Karlin , Sandra Bao , Amy Balfour , Brendan Sainsbury , Kevin Raub , Zora O'Neill , Mara Vorhees , Karla Zimmerman , Greg Ward , Sara Benson , Ryan Ver Berkmoes . 9th Edition Mar 2016. . 1216 pages. From clear, turquoise seas to magnificent Maya ruins, lush cloud forests, bustling markets and coffee farms, Central America can be as chilled out or as thrilling as you wish.Inspirational images, 3D illustrations and recommendations from our expert authors Planning features and top itineraries to help you plan the perfect trip Local secrets and hidden travel gems that will make your trip unique PLUS packed with activities like hiking, rafting and surfing. By Carolyn McCarthy , Greg Benchwick , John Hecht , Joshua Samuel Brown , Lucas Vidgen, Tom Spurling, Mara Vorhees , Iain Stewart . 8th Edition Oct 2013. . 768 pages, 96 pp colour, 104 maps.